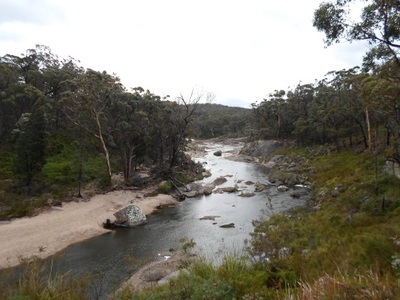 Boonoo Boonoo National Park is located 26 kilometres north east of Tenterfield, in the New England of New South Wales. It's not far from the popular Bald Rock National Park, known for its massive granite dome, and while a lot smaller than its neighbour, it's still worth visiting if you've already come all this way. 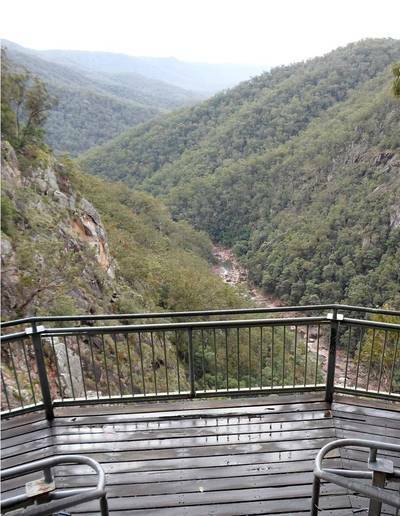 There's only one road in and out of the park--Boonoo Boonoo Falls Road--and it can be found off Mount Lindsay Road, the same one you use to get to Bald Rock National Park. The road spends a lot of time alongside Boonoo Boonoo River, but if you don't want to keep getting out of the car to enjoy it, you can also see this stretch on foot as part of the River Walk route. If you're only looking to stay at the park for a few hours (camping is an option though, and Cypress Pine campground is located next to the river near the park entry, while there's also a cabin that sleeps up to six people) then you'll want to head to the end of the road, where you'll find the Boonoo Boonoo Falls Picnic area. All the major attractions are within easy reach. 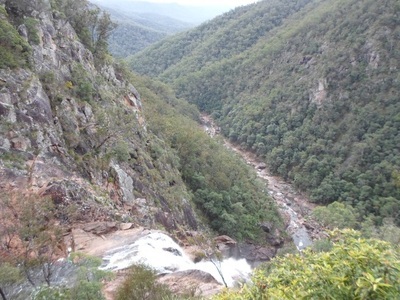 One of the sights yo should check out is the Falls Lookout, which is only a short 600 metre return stroll from the picnic area. 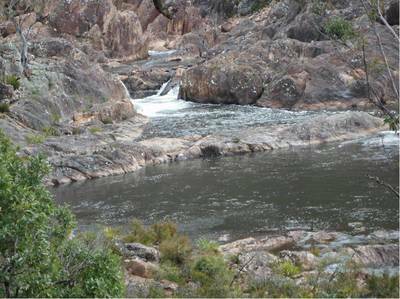 Here, you can watch at the Boonoo River tumbles over the cliffs below you and continues on its way. 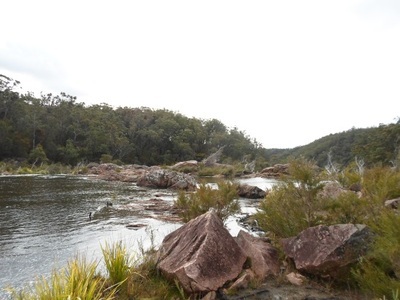 On the way to the falls, there is also a slight detour you can make to the Rock Pools (a 400 metre return from the picnic area), where water rushes into a large pool behind the falls. 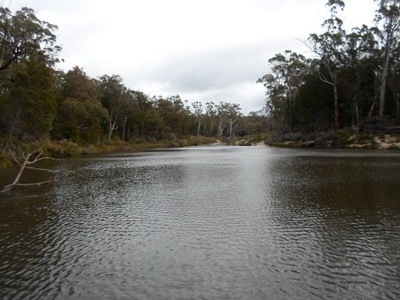 Longer walks such as Mackays Walk (an 8 kilometre loop) and Cockatoo Walk (a 14.5 kilometre loop) can be begun at the picnic area, while other places you will come across within the National Park include the Platypus Hole Picnic Area and Morgans Gully, an old gold field.